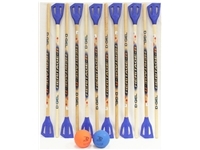 The junior / NEXT broom stick is reliable and long-lasting broomball stick. 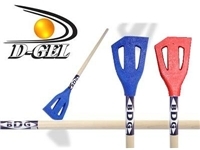 Ideal for a game with friends, hard training and regular use, always with the same long-lasting quality and tailoring by D-Gel. 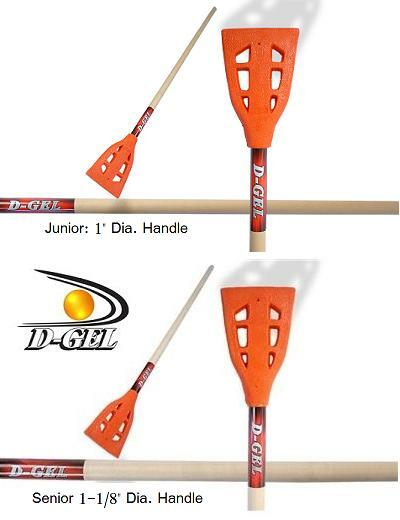 Junior / NEXT has a 1" hardwood handle to improve handling by younger players and women. No guarantees or returns on broomball sticks. NEXT is the same stick as the Junior with updated graphic sticker on the handle (not pictured). Made in Canada.